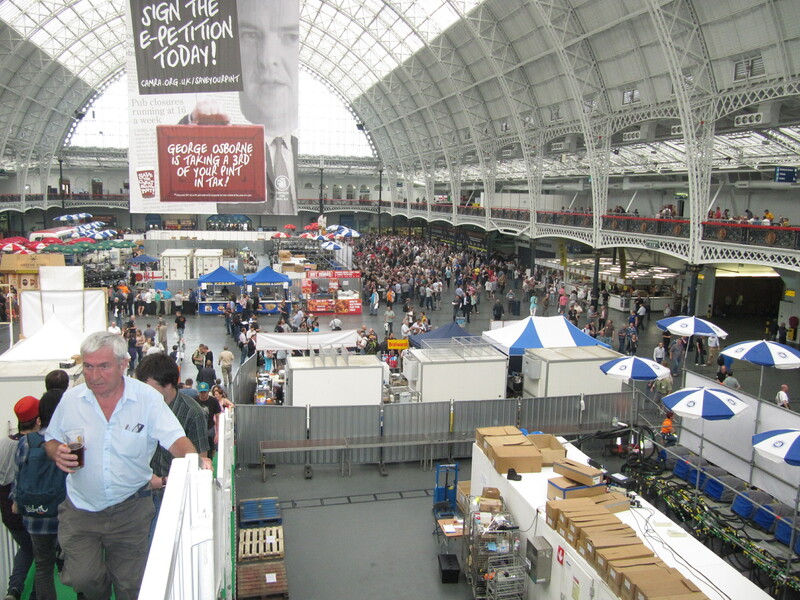 There is probably only one word to describe my experience at the Great British Beer Festival – overwhelmed. As we walked in we headed to the Belgium section – mainly because it was right by the entrance. The first thing I saw was a cask of Cantillon! There were beers from around the world. This year it was helped at The Olympia. The place was huge, but when we were there (during the day), it wasn’t too crowded. The upper level had seating and we could easily get a seat. The only criticism I have is the food choices were lacking….However we did manage to find a thai food stand that had amazing spring rolls! And another food venue that had samosas. 1. 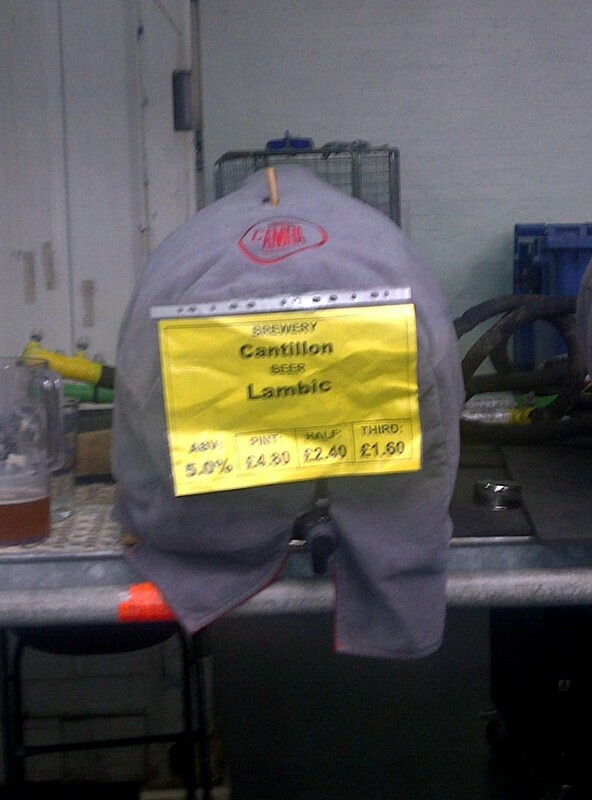 Do your research and select the beers you want to try or focus on a certain country – This is obvious for every beer festival, but I would stress it for this one! I should have done more research. I did ask some people who were more familiar with the European beer scene than I was, but it is still hard to narrow it down. Even the USA section alone was overwhelming for me – tons of breweries I haven’t heard of and sooooo many interesting beers. 2. As soon as you arrive get a drink (cuz it’s hard not to), then save yourself a table upstairs as your docking spot. 3. Similar to Mondial, go in the daytime during the week and leave by 6pm. Then it gets a bit crowded with the after work crowd. 4. Plan for multiple days at the festival – Do to our limited time in England and our busy schedule we only planned for 1 day! 5. Bring change – more samples (1/3 pints) were £1.50-2.50. With exact change you stand in the line for less time! Definitely have to go back!! Great festival, big space, not too crowded, with so may options.